For this recipe, I turned to my two favorite cocktail guru girls, Leanne Shear and Tracey Toomey. The duo has their own Hamptons-based TV show and penned the novel ‘The PerfectManhattan’ and the drink guide ‘Cocktail Therapy’. In a cocktail shaker filled with ice, combine the bourbon, vermouth, and bitters. Shake for 15 seconds . 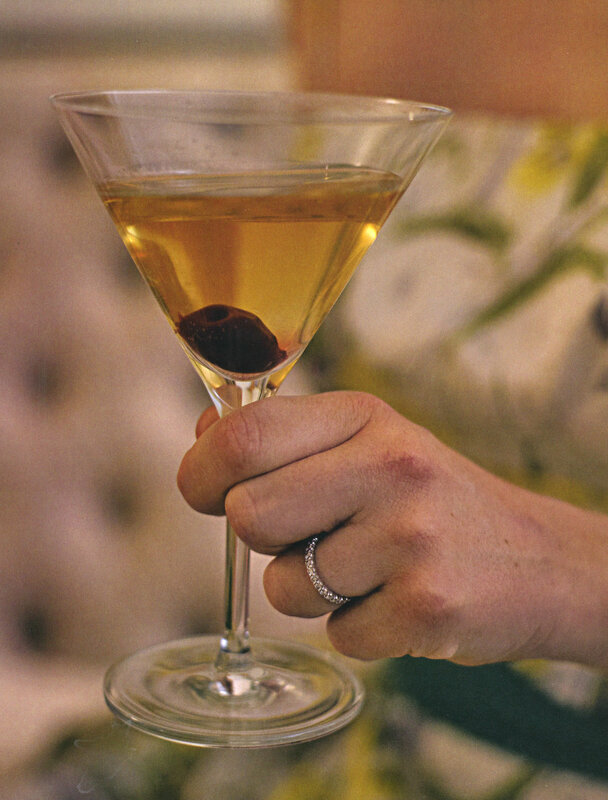 Strain into a chilled martini glass and garnish with the Drunken Cherry. Fill a 1-quart mason jar with fresh, plump cherries (pits removed). Pour your favorite bourbon over them until they are all covered. Seal the jar and refrigerate at least 24 hours, but the cherries will keep for up to 3 months. The longer they marinate in the bourbon, the better they taste! These cherries are great in Manhattans, Old Fashioneds, or even over vanilla ice cream for a decadent dessert.